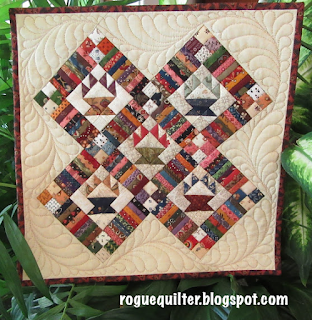 rogue quilter: Can I do this again? 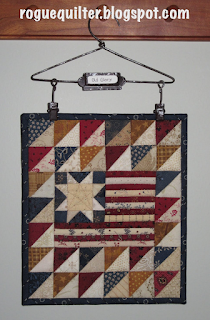 That about does it--except for the fact that Wendy is sponsoring this SAL again this year, along with another SAL making one of the little quilts from Pam Buda's recent book each month. I want to do both, but doubt I can keep up with either. There are still a few days left in the month. I have two minis that have the potential to be finished in time, but it remains to be seen if I actually accomplish it. 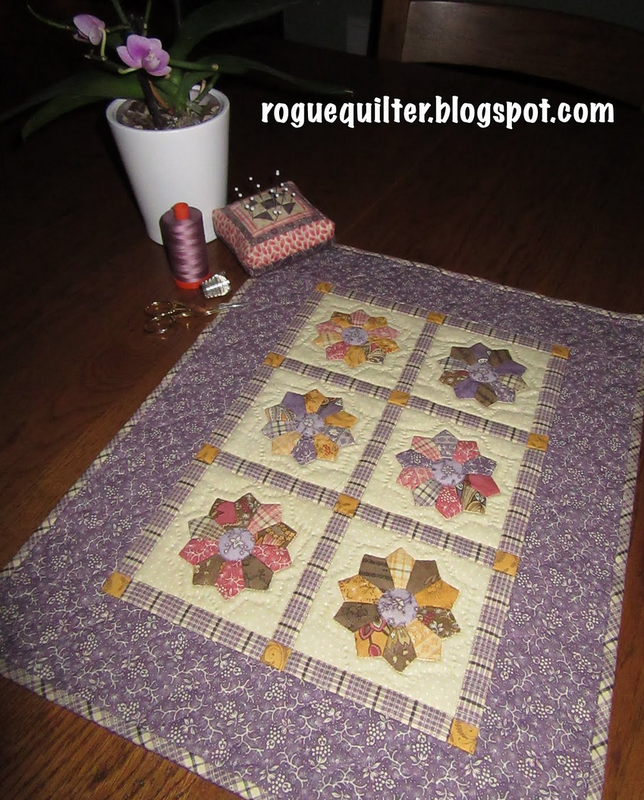 Are you sewing along? Nope, but I am making a mini. 7 out of 12 isn't bad! 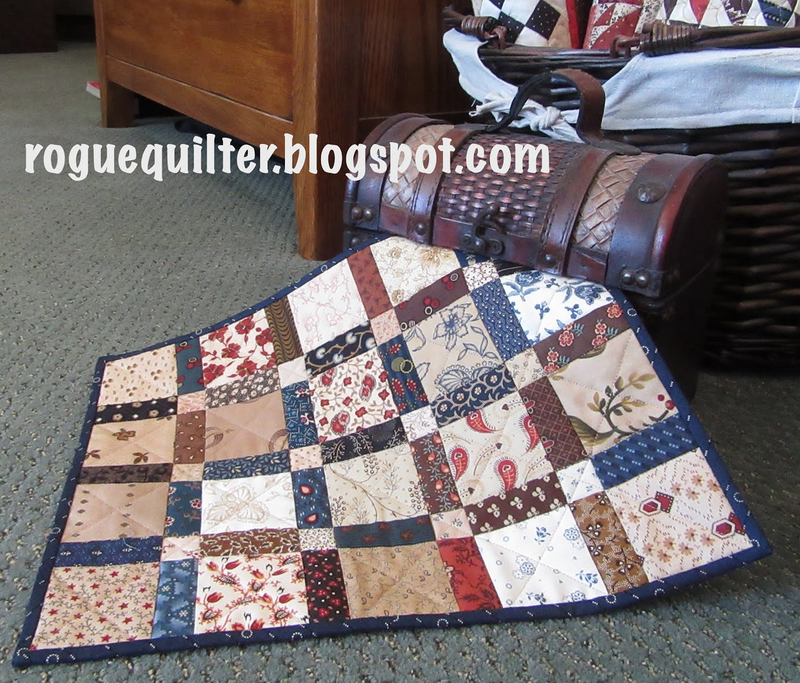 You've got some really beautiful mini quilts here. 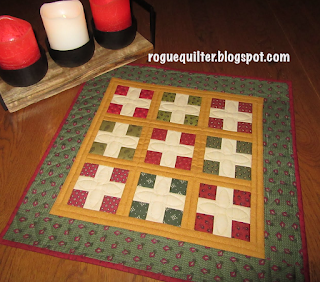 I love mini quilts, but I have no fabrics to fit this challenge. So nice to see last year's minis all in one post. I'm rooting for you to get at least one finished by week's end - and is there any reason why one mini couldn't occasionally fill in for both challenges? 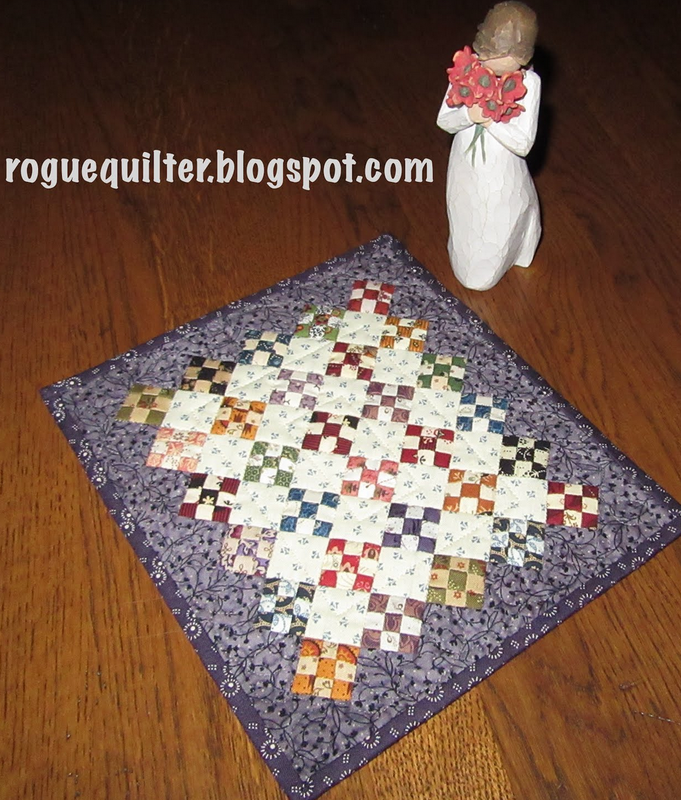 I'm planning to participate in Wendy's monthly mini challenge but will have to pass on the Pam Buda book/fabric mini challenge for now at least. 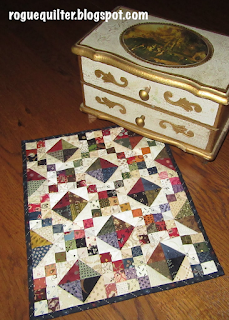 i passed on that mini sew along, just doing the brackman 9 week sal...got too many UFOs to finish! these are so lovely janet...you really are a super quilter! Your mini's are always incredible. 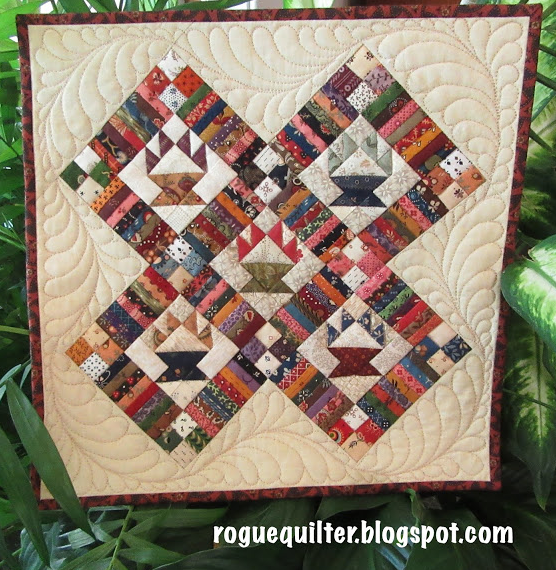 I enjoyed the mini quilt show this morning. It was such a joy to see all your minis last year. Let me say too that you put everything into a little quilt. MOre than some put into a large quilt. They truly are all masterpieces. I loved seeing them all again. I'm doing Wendy's SAL this year and think it will be fun. Thanks for the beautiful review!! So fun to see them all in one post! They are all so adorable--it would be hard to pick a favorite. Of course you should join the SAL--all your mini's are little masterpieces! I'm not joining in although I think it would be lots of fun. I'm trying to stay focused and finish up my enormous pile of UFO's! Sew many pretties - it’s hard to pick a favorite!!! The feathered star has always been on my bucket list so that is a top contender. Yours is stunning! 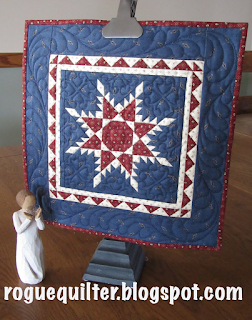 Love the feathered star mini! Its been awhile since I made a mini so I need to get stuck into it when I go to camp. Gives me some time to plan something special. It's so fun seeing all these delicate beauties all together. You do such beautiful work. Your minis are always such great eye candy! Will any of these be added to your ruler display racks? I always love a mini show by you! I have enough projects going without joining someone else's, so I'll just plod along toward finishing some of mine and enjoy your posts. You never disappoint!!! Hope this will be a good year for you! A beautiful collection of treasures! You accomplished a lot! I absolutely LOVE your mini quilts!! Me? NOT sewing along. Too many other things on the go! Your mini masterpieces are incredible and it's awesome to see them altogether. It's fun to participate in a SAL, but it's not suppose to put pressure on you. Your work is beautiful. 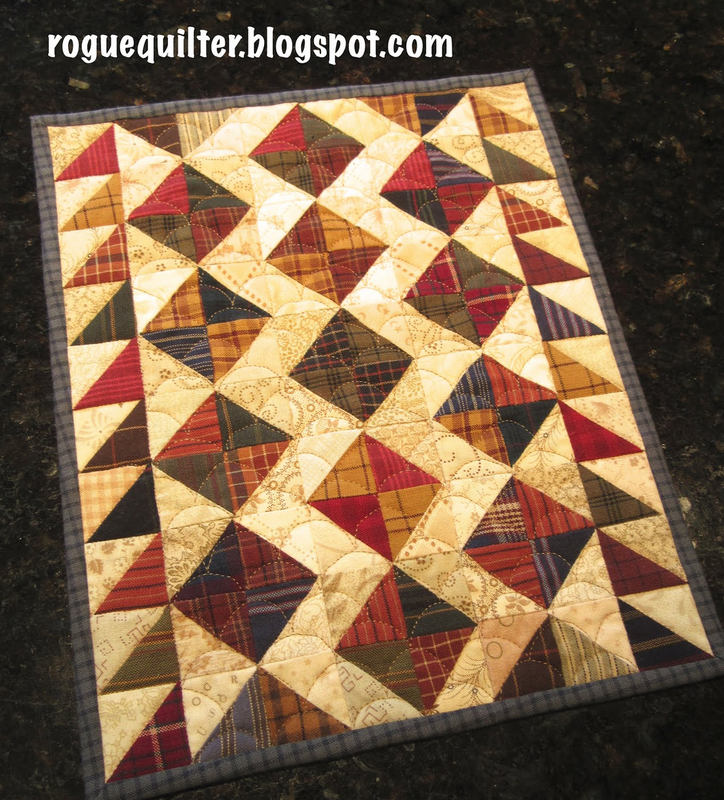 Enjoy your quilting journey and we'll continue to admire your quilts. Looks to me like you had a very good year! All of them are beautiful, but I think my favorite one is the Feathered Star in January! ---"Love"
I believe in you...that you can do it!! 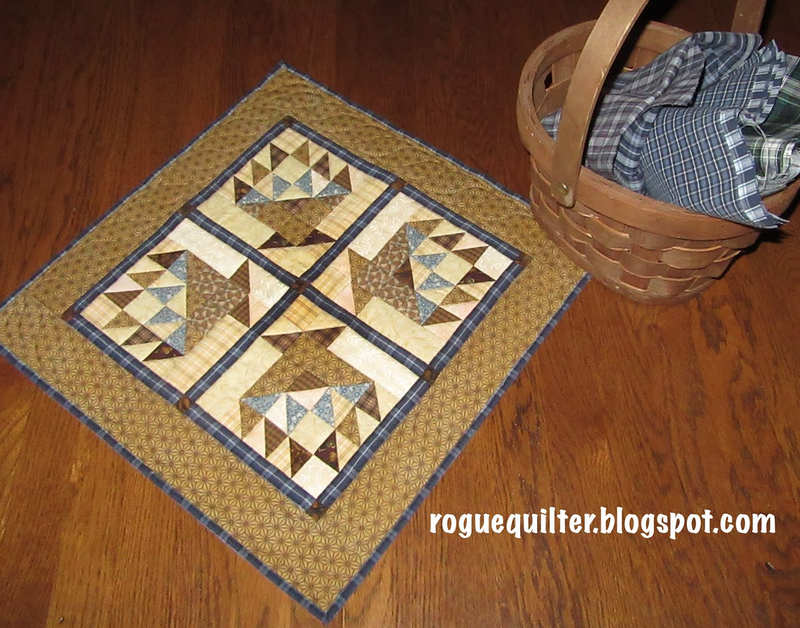 Your precise piecing is a wonder to behold! Oh my Janet! I love your recap! They have inspired me all over again! 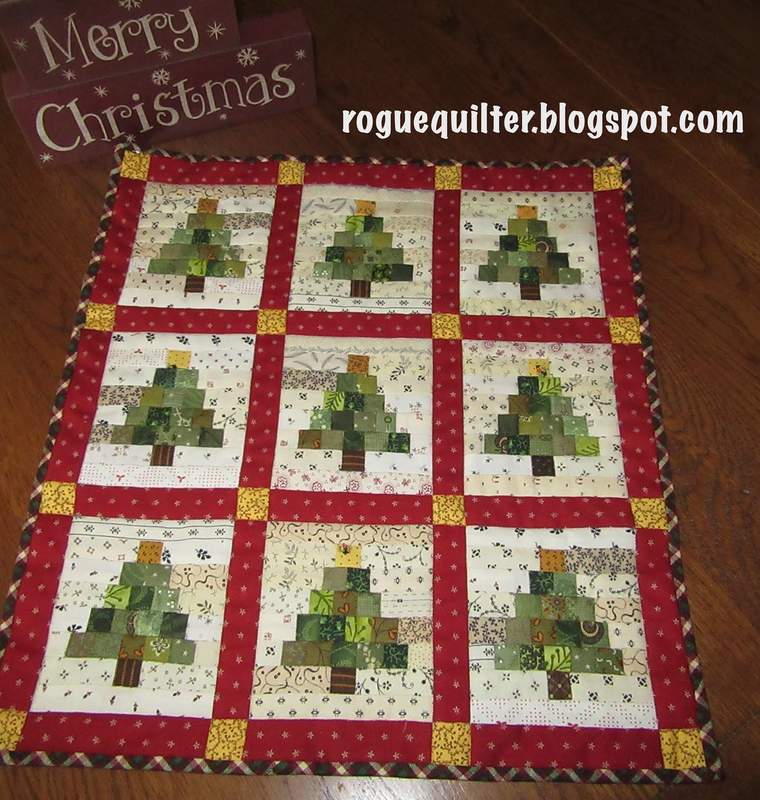 I wish for you a stress free quilting year to come. No pressure! I know how life can get in the way. I cherish all your posts and I will link to your next mini whenever it gets done. Have a "pieceful" day! 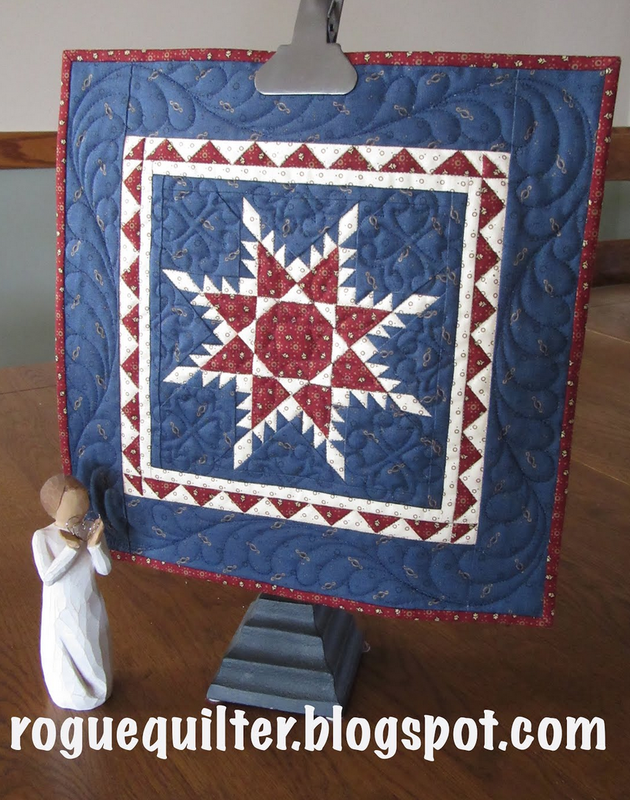 The feathered star mini is an especially good one. I absolutely love your mini quilts, however many or few you make. They are such detailed little works of art. Honestly, working at that tiny scale, I think a mini can be more work than a larger piece, so 7 is pretty impressive. That is quite a bit of accomplishment! 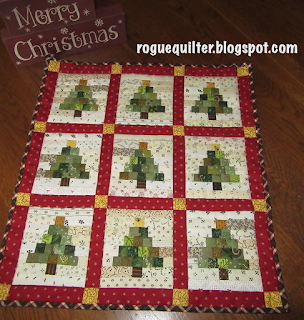 And, about 11 quilts more than I completed! lol! No SAL's for me....I'm still working on BOM's from last year....and the year before...and the year before....lol! Extremely impressive that you can identify the minis you made month by month!! They are ALL amazing and I am happy to say I am the recipient of one of them!! Thank you, dear friend!! 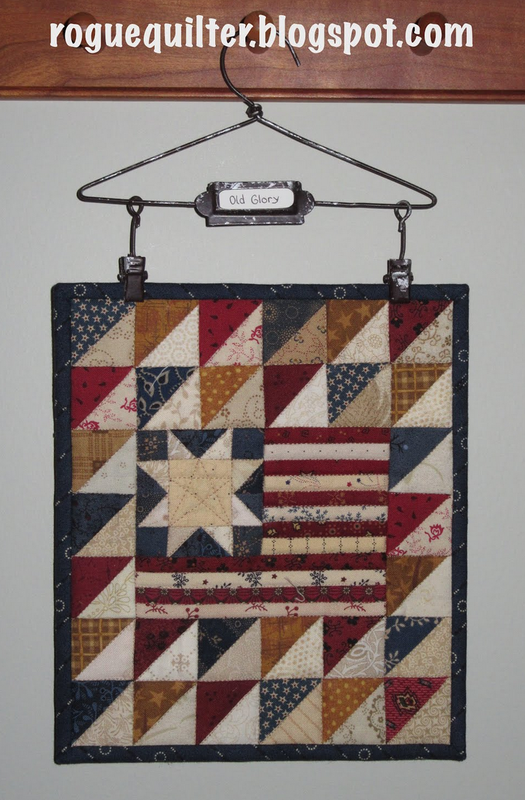 I enjoyed seeing your beautiful quilts. They look so nice together! I hope I will be able to have a little collection to show as well by the end of the year. A marvelous collection of minis for sure! Nice idea to gather them into one blog post. I am joining in this year with Wendy too... as much as time and life will allow! I'm amazed, Janet. We generally think of small as requiring less time but I know these minis are time intensive, too. They are all so gorgeous. You have a wonderful collection to show for 2018. Well done!